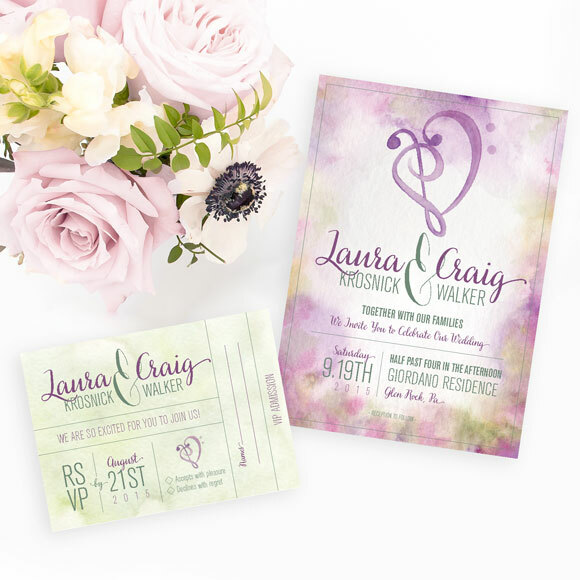 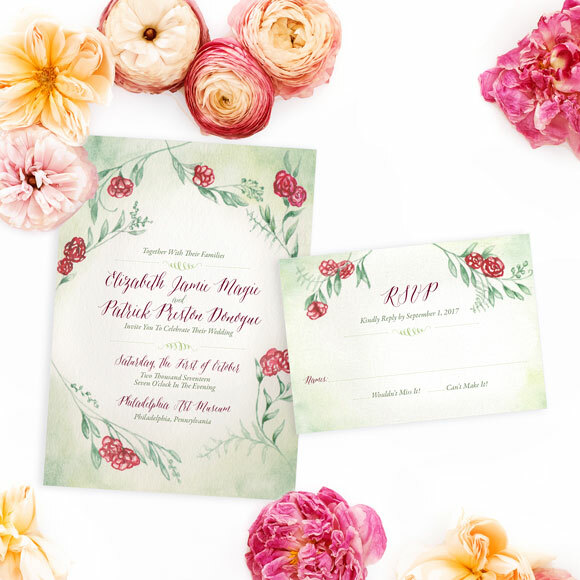 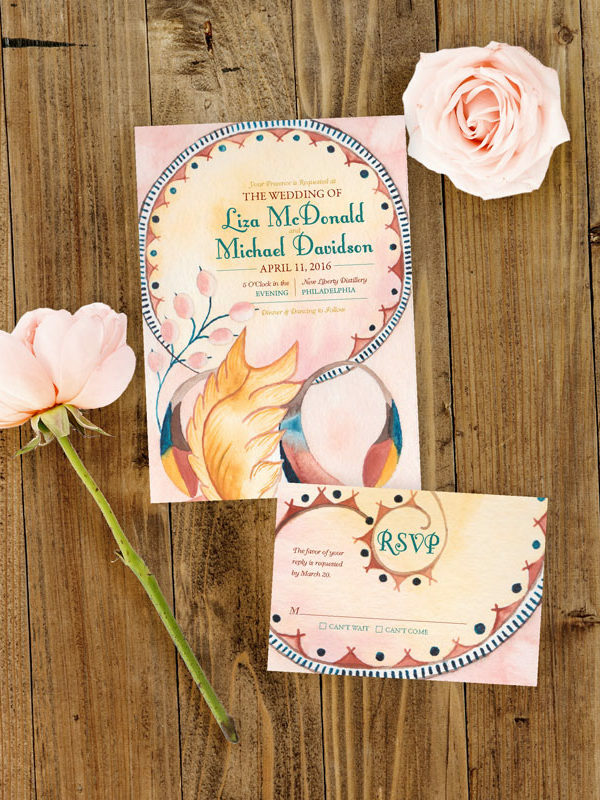 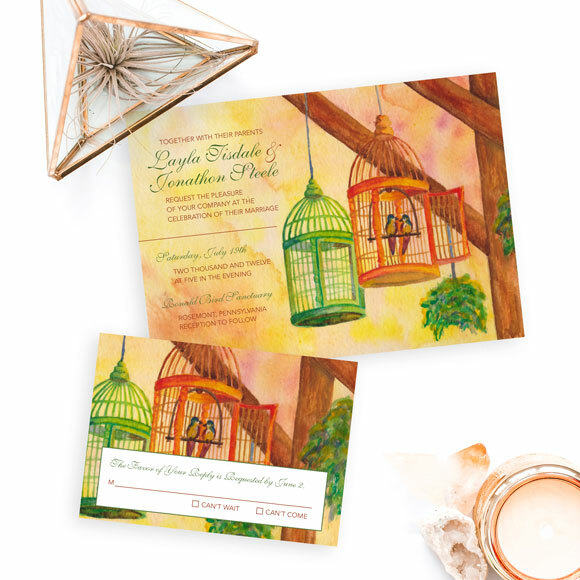 The hand-painted Lovebirds Wedding Invite is a very cheerful, light-hearted take on the traditional lovebirds theme. 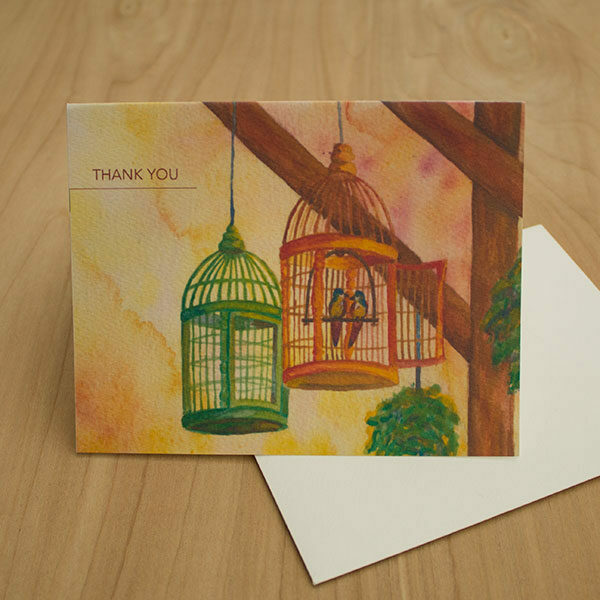 What I love about the composition here is that there are two cages but both the birds decide to canoodle in the same cage together. 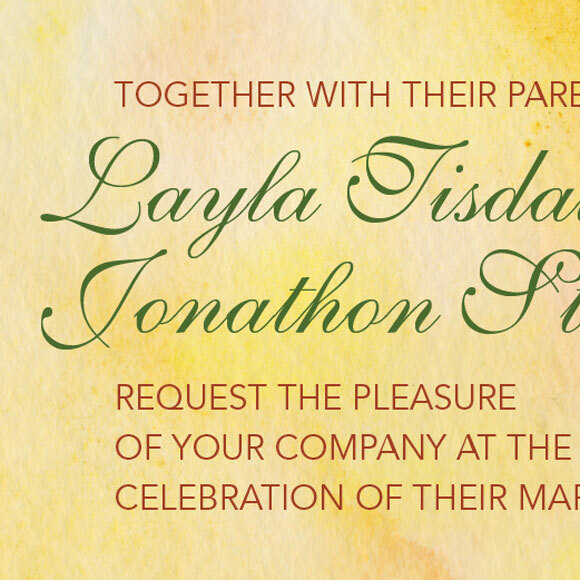 It really is symbolic of relationships and marriage. 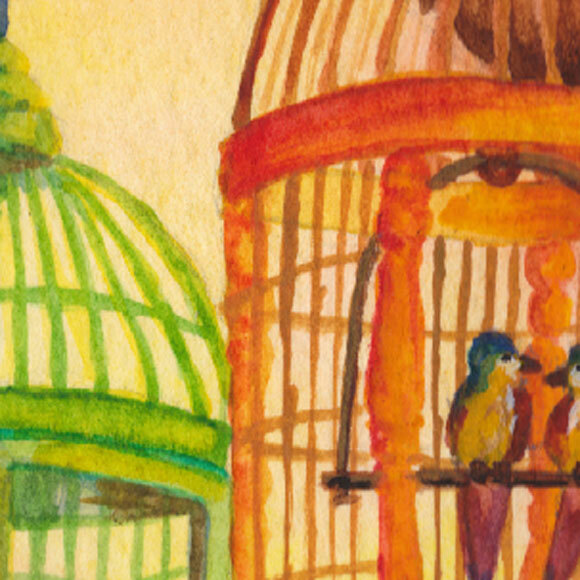 Yes, each member of the relationship can happily stand alone in his/her own cage, but they choose to live and share their lives together.